This year I started teaching at a new school and am a traveling teacher, which means I teach in 4 different rooms around the school. 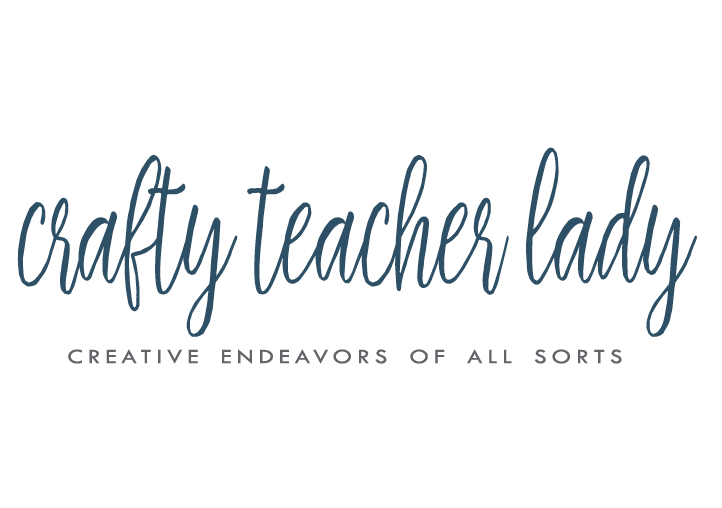 I knew this was a possibility since I am the 'low teacher on the totem pole' and, after having my own classroom for almost 8 years, not having my own space has been an adjustment. This is what I use to travel from place to place...it's really a kitchen utility cart that I purchased from Amazon last summer but it works well moving from place to place. It's taken a couple months for me to organize it in a functional way. The green boxes are actually up cycled paper box tops that I got from the office after a paper delivery. I spray painted each box top with a fun bright green color. They fit nicely in the cart to hold extra copies of papers, etc. On the middle shelf, I've also added some plastic storage containers purchased at the local Dollar Store. Another organizational idea is gluing a strip of scrapbook paper around a clean, empty can of vegetables that would otherwise be relegated to the recycling bin! 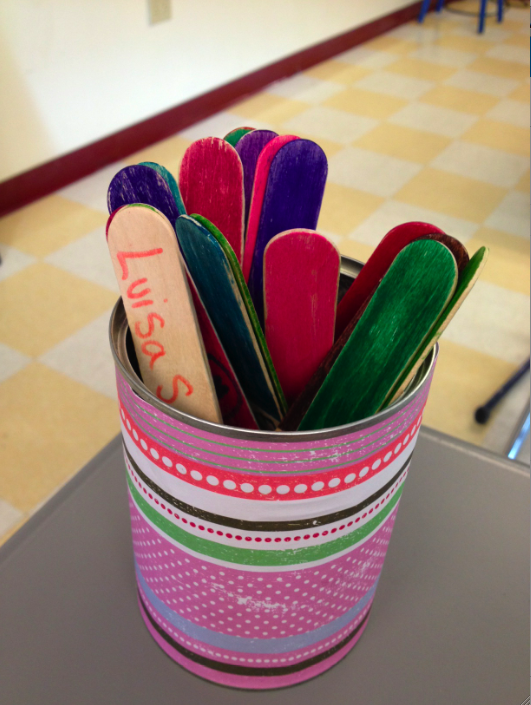 I have two cans, one for our class participation popsicle sticks, and the other to hold pens, pencils, scissors, etc. 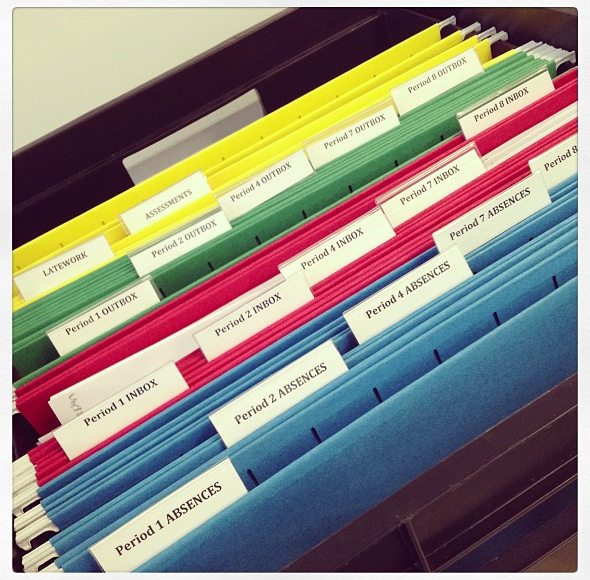 The blue folders are each labeled with one of five class periods and are for students to check for work they may have missed if they were absent. I make sure to put their names on any papers that were handed out when they were gone and then place it immediately into the appropriate folder. At the start of class, students are to come up and check the bin for their work. The red folders are for any work that has been passed in and needs to be graded for each class (red means 'stop...you must grade' ha ha!) 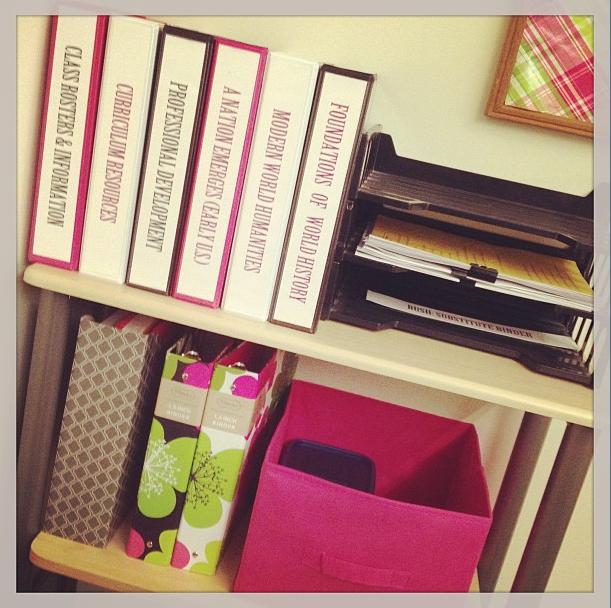 and then green folders are for work that has already been graded and can be passed back (green means 'go'!). Then I have yellow folders for late work, quizzes and assessments that absent students need to come in and take, emergency procedures, and any handouts that need to go out to my homeroom students. So far this method of organization has worked really well and it's easy for me to take the bin with me wherever I go! 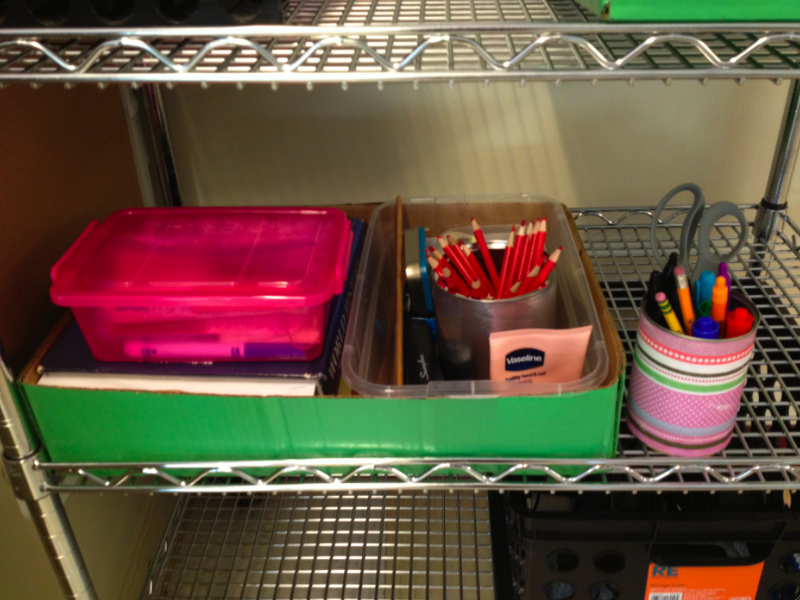 What have you organized lately? 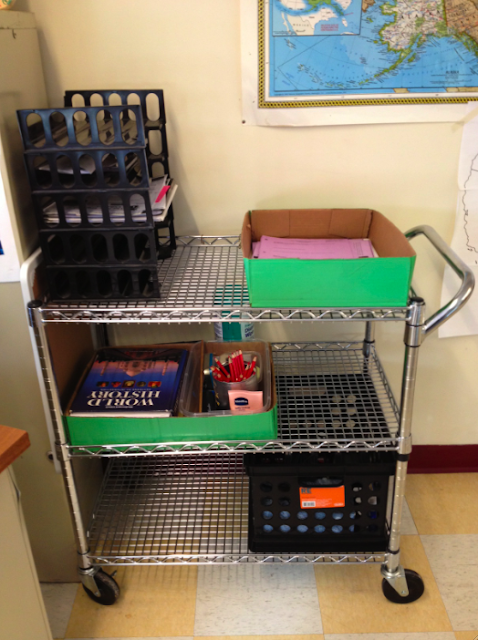 For more tips on classroom organization, check out this post about managing workflow and paperwork in the secondary classroom!